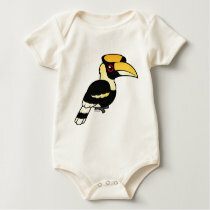 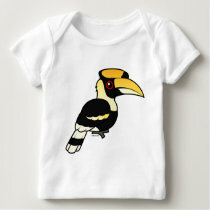 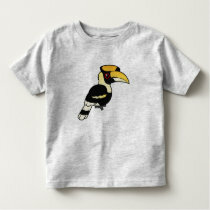 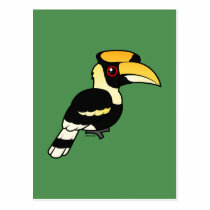 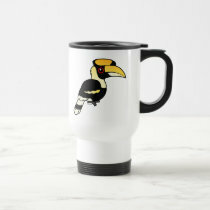 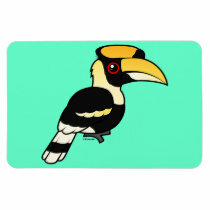 The Great Hornbill is a large species of hornbill found in western parts of India and in southeast Asia. 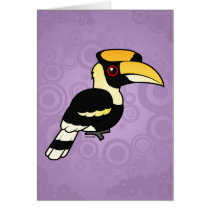 The live in forest habitats where they feed on fruits like figs. 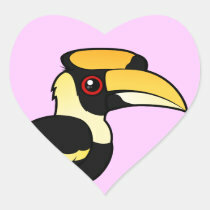 The Great Hornbill's yellow beak is massive. 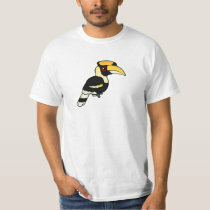 It is topped with a large black and yellow casque. 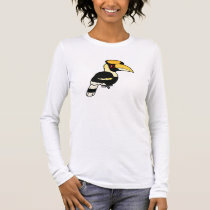 The body plumage is yellow, black, and white. 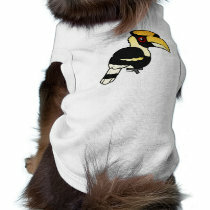 Male Great Hornbills have red eyes; females have blue-white eyes.